July is moving time! It’s also a good time to give a second life to dated or damaged furniture and household items instead of getting rid of them over the summer holidays. Doing it yourself, or DIY, means making everyday, technological or artistic things, usually by hand—alone, with friends or family. And what’s more rewarding than making your own decor or accessories and reducing waste at the same time? It’s inexpensive and you avoid shopping for mass-produced products in overcrowded superstores. 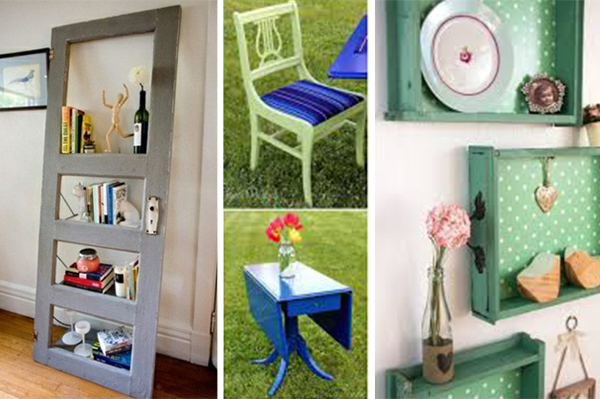 This month, Équiterre brings you the ABCs of DIY to help you get your creative juices flowing and go green this summer! Making your own home decorations is good for the environment, but it can also be a great way to spend quality time with friends and family. 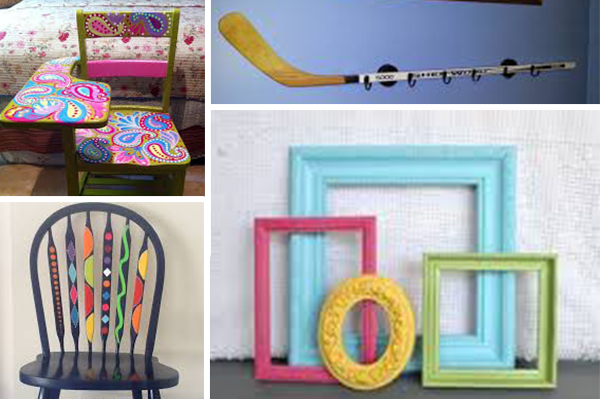 DIY and upcycling (creative reuse) projects are both useful and enjoyable: you improve your living space and can be proud of your original creations. Here are some interesting ideas. Pinterest, YouTube and Google will be your best friends for these kinds of activities. Enter what you want to create in the search field and they’ll come up with thousands of project ideas. You’ll also find tutorials explaining how to put them into practice, for example, how to paint furniture. If you prefer follow-along videos, Ismérie Anglade posts a new video on her YouTube channel, Le petit spot créatif, every Saturday. There are also various DIY TV shows and blogs, including Canal Vie's Projets brico, l’An Vert du Décor, Muramur and Déconome, to name a few. If you’d like to work with others, why not attend a workshop? Les Triplettes des Tirettes specialize in creating things with fabric, such as handbags and change purses. L’atelier du coin de la rue runs all kinds of DIY workshops. If you don’t have the time to do it yourself, you can buy upcycled products in stores like Bigarade, which also sells DIY kits. Need materials for your project? No problem. Old things can be used to make new ones. And you’ll find places across Quebec with used materials in good condition. As well as the old standbys—Renaissance, Village des Valeurs and the Salvation Army—it’s worth checking out some of the less known organizations, such as Action Re-buts, which lists reuse organizations by region and is an excellent resource. Check out the directories for Montreal and Quebec City. If you’re looking for somewhere that salvages and resells construction and renovation materials, and architectural elements, try Éco-Reno. If you have material to be salvaged, various non-profit organizations, including ReStore, L’entraide les Ami(e)s de Montréal, SOS Entraide Montréal, Société de Saint-Vincent de Paul and Le Comptoir Emmaüs de Québec, pick up furniture. ARTÉ – Artisan du Renouveau et de la Transformation Écologique is an independen business contracted by the City of Montreal to manage the reuse centres of ecocentres and revamp reusable items for sale at low prices. Ecocentres are good places for donating items and making great finds. And social media are a great source of information. 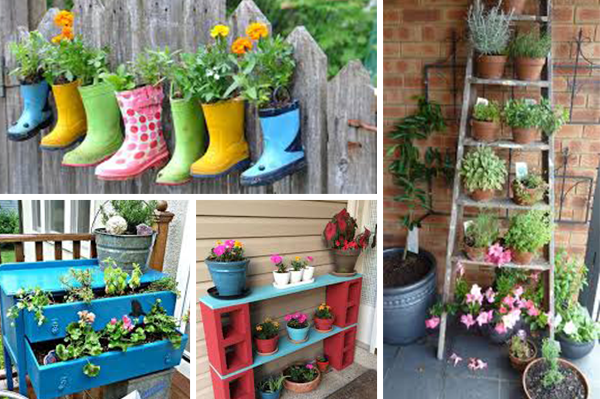 There are countless Facebook pages and groups dedicated to simple, green living and DIY. You can post ideas, learn from others, and ask questions about reuse and how to upcycle consumer products. So, you’ve got the materials you need to make that dream shelf. But what if you don’t have the right tools? Easy! Just click on one of the links in the list of tool “lending libraries” below. It's free or the prices are very reasonable. La Remise – Bibliothèque d’outils [La Remise tool library] in Parc-Extension encourages community living by lending various tools to members and providing a workspace where they can carry out projects and receive advice from volunteer experts. At Repair Cafés around the world, you can give a second life to old items. The initiative started in Amsterdam and has spread to over 29 countries. But it’s still fairly new in Quebec. You can take along broken objects or appliances and repair them with the tools and materials provided. Expert volunteers and pros are often there to help. Stay tuned for the next Repair Café event! Le Café la Mosaïque in Lévis, near Quebec City, regularly organizes Repair Café events. How about starting a similar event in your community? Ready for a fun challenge this summer?